The state Transportation Committee unanimously recommends Robert McEvoy to the Senate. A legislative committee voted unanimously Thursday to recommend a nominee for the state’s passenger rail board despite his vocal opposition to the board’s choice of a location for a train layover facility – next to the nominee’s neighborhood in Brunswick. 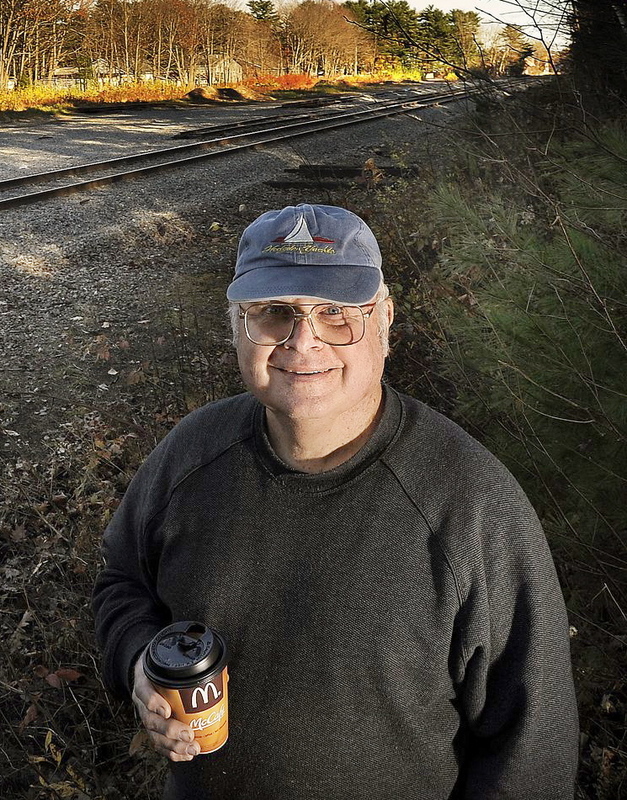 Robert McEvoy has been a leading critic of the layover facility, which would include a maintenance building with capacity for three trains just 240 feet from the rear property line of his home on Bouchard Drive. 2012 Press Herald File Photo/Gabe Souza The Legislature’s Transportation Committee has endorsed the appointment of Robert McEvoy to serve on the Northern New England Passenger Rail Authority’s board of directors. Neighbors say the facility could harm the environment and they want more studies of its possible impact. McEvoy was nominated for the Northern New England Passenger Rail Authority’s board by Gov. Paul LePage. The Legislature’s Transportation Committee recommended his nomination to the state Senate by a 13-0 vote. The Senate is expected to vote on the nomination Friday. LePage sent a letter to the Federal Railroad Administration last week opposing the site for the layover facility. The administration is expected to decide soon whether to approve the site for the facility, which would be used to service and maintain Amtrak trains for the Downeaster route between Boston and Brunswick. The regional passenger rail authority manages the Downeaster service, while Amtrak operates the trains. Residents in McEvoy’s neighborhood have recommended alternatives to the site in west Brunswick, but the rail authority’s board had rejected those suggestions, saying the other sites would cost too much to prepare or be too far from the trains’ main rail lines for schedules to be maintained. LePage, too, has proposed alternative sites and said the one in west Brunswick could hurt efforts to redevelop the former Brunswick Naval Air Station, now called Brunswick Landing. F. Bruce Sleeper – a volunteer lawyer for TrainRiders Northeast, the group that led the effort to get Amtrak to resume passenger rail service in Maine in 2001 – was the primary opponent to McEvoy’s nomination. He said the board’s main role is to support passenger rail in the state, and McEvoy’s opposition to the maintenance facility, and his questioning of board members’ motives, is “not consistent” with that role. But Sen. Linda Valentino, a Democrat from Saco, said that argument suggests that Sleeper thinks the rail authority board should rubber-stamp management’s recommendations. McEvoy, who would be one of seven board members, couldn’t necessarily get a majority to support his views, she said, but his presence could stir “a healthy conversation” about the layover facility and other issues. McEvoy, a former highway engineer, did not comment about the controversy over his nomination. He said his work on highway matters included work with the state on rail crossings, which gave him insight into railroad issues.